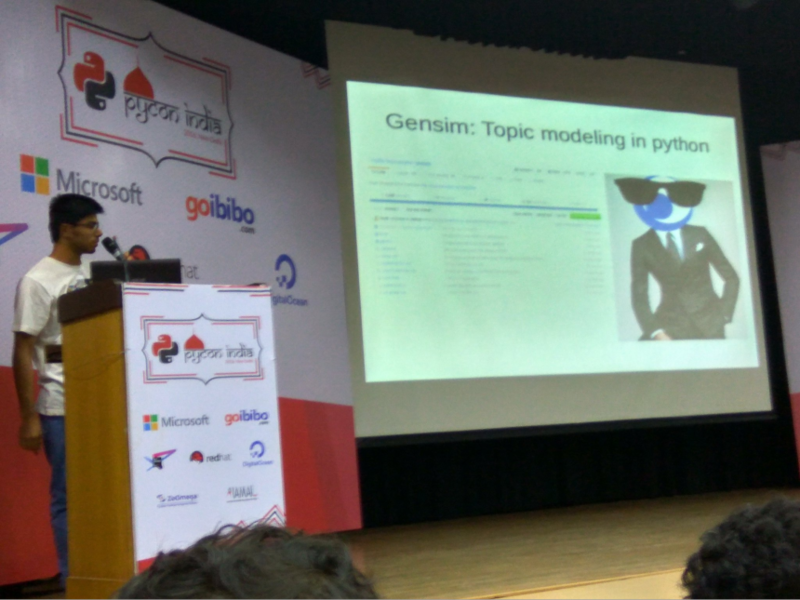 I was very happy to visit India this October to run three Gensim coding sprints, give workshops and visit PyCon India conference. Many thanks to our Incubator programme student Devashish Deshpande for being my host. 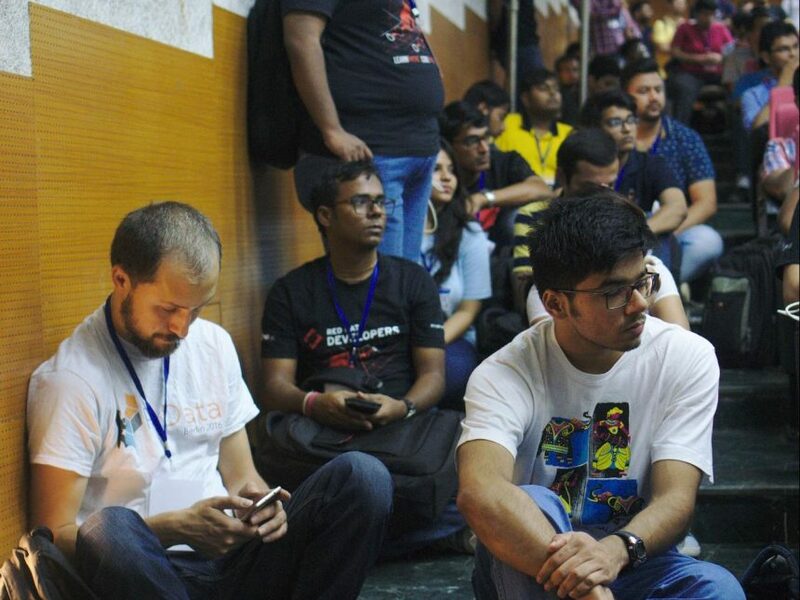 Pycon India was a very friendly event of 500 attendees with workshops on Friday and conference talks over Saturday and Sunday. 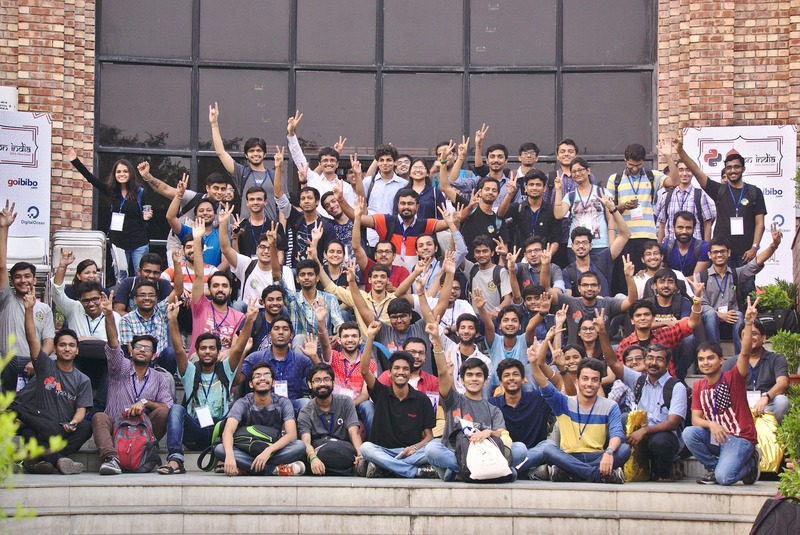 The volunteer team and attendees of PyCon India 2016. There were so many friendly photos at this conference! 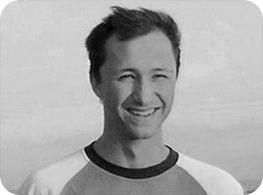 My favorite PyCon moment was the keynote by Andreas Mueller – one of the key people behind sklearn. He gave us the preview of new features to appear in sklearn 0.18 release. The gensim community has come out with flying colours at this event. There were 2 workshops, 2 open space talks and 2 lightning talks with Gensim. 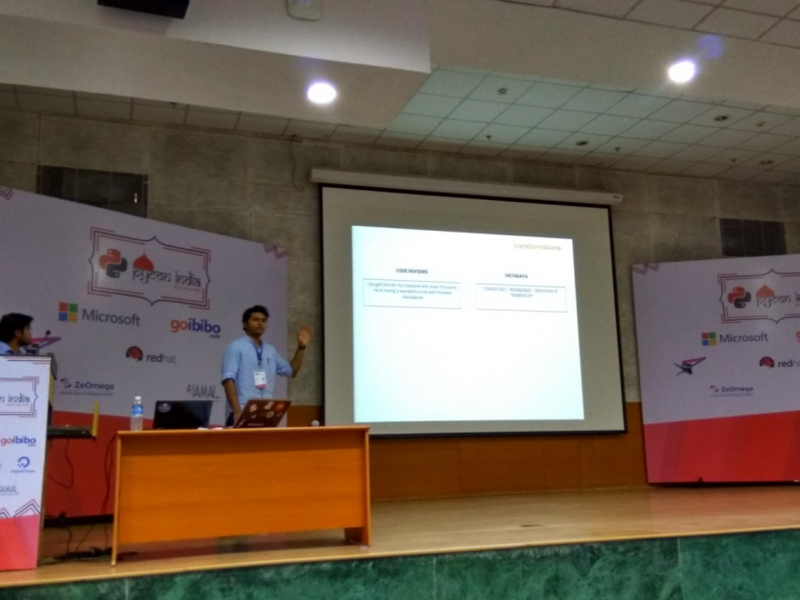 RaRe Incubator Student Devashish Deshpande aka dsquareindia presenting News Classification with Topic Modellingtutorial. He also presented on Topic Coherence that he added to Gensim over the summer. 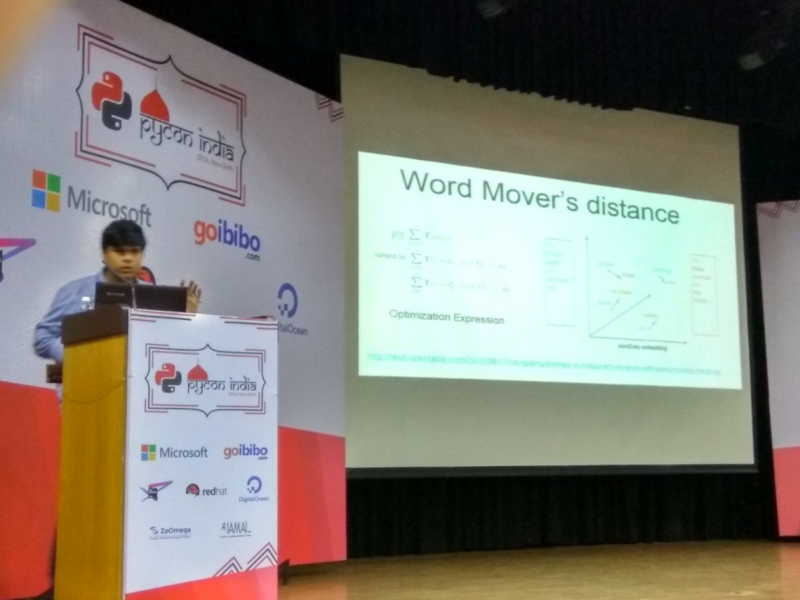 Word Mover’s Distance tutorial by Rishab Goel, Masters Student at IIT Delhi and student at RaRe Technologies Incubator. Workshop by Manas on Recommender based on customer reviews using Gensim. Manas has contributed the GLoVe converter to Gensim. I was very happy to take a break from giving talks and just support other community members in talking and coding gensim. Here I am reviewing PRs while waiting for the talks to start. With Devashish Deshpande. 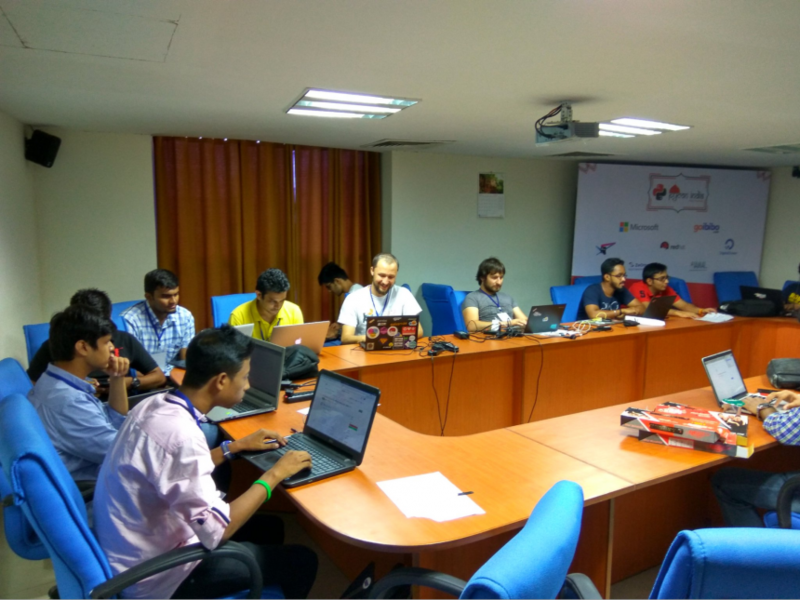 The community in India around Gensim is so strong that I was lucky to participate in 3 coding sprints in a single month. As soon as I arrived to the PyCon conference on Friday I started setting up for the sprint. Here you can see me with the classic “Gensim. Please interrupt me with questions.” sign. And the sprint went really well! 25 people participated over the course of 2 days. We were the biggest sprint at the conference – thanks to all the contributors! On the first day we went through the tutorials. It resulted in 5 pull-requests just to our Quick-start. It looks much better now! On the second day we wrote some code fixing easy bugs in the github repo. For some people it was their first contribution to open source. We went through git and github basics – how to merge, rebase, submit pull requests and create issues. Special thanks to Andreas Mueller who has contributed a way to run our ipynbtutorials during Travis CI and shared his vast experience maintaining sklearn with me. Watch this space for gensim-sklearn integration coming soon! 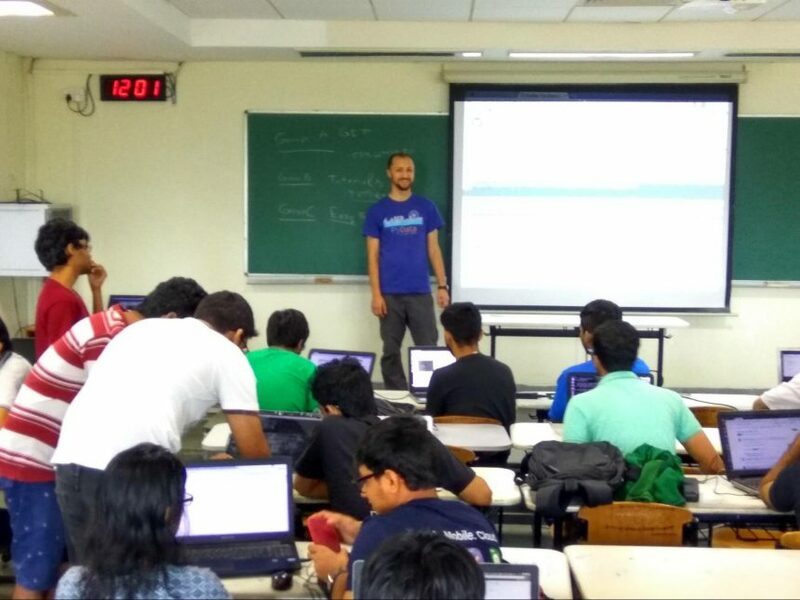 Thanks to the students at BITS Pilani university in Goa for inviting me to give a talk and run sprint. The university is a real powerhousethe for open-source and Google Summer of Code. Many thanks to our Incubator student Mridul Seth who helped run the workshop and sprint. 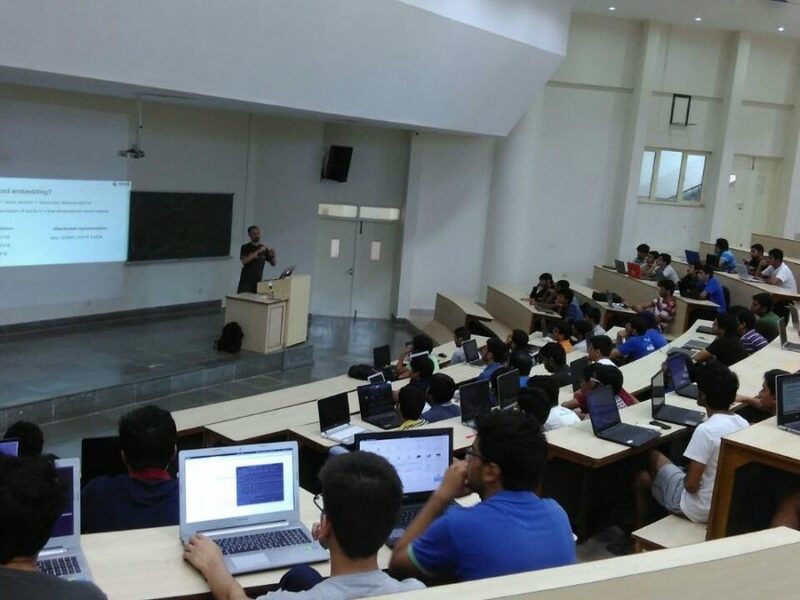 The turnout at BITS PILANI was great – every one was eager to learn about machine learning by fixing easy issues in our github. No visit to India is complete without visiting the “Silicon Plateau” of the city of Bangalore. The concentration of software talent in this city is truly mind-blowing! I got a chance to stay and run a sprint at a great co-working space at an organic farm called Jaaga Study just outside of the city. Small but very productive sprint at Jaaga Study farm. Thanks to the RaRe Incubator programme graduate Jayant Jain for helping to organise it. 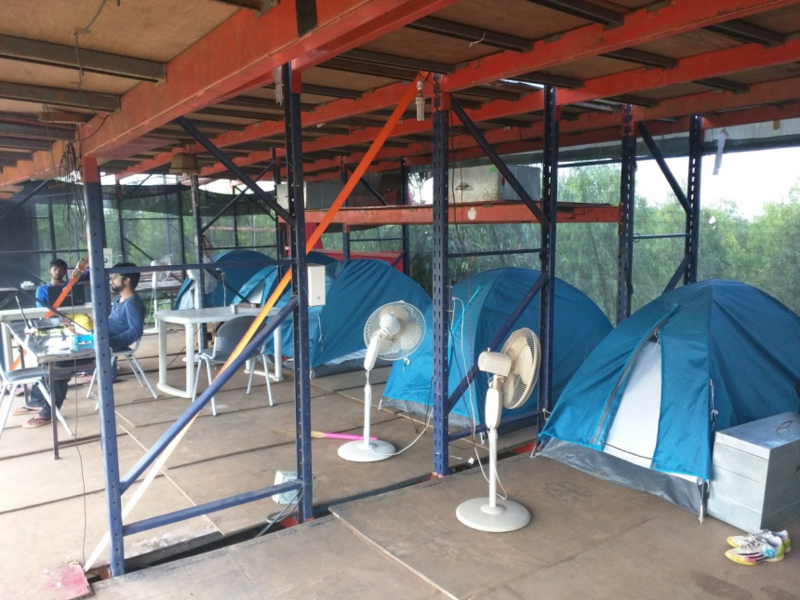 The Jaaga co-working/co-living space is a temporary structure. 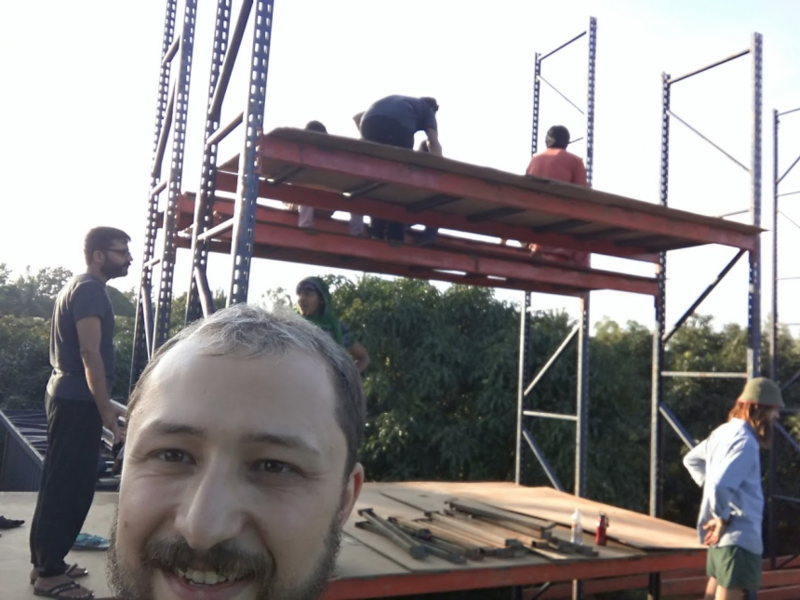 It was fun to build our space out of pallet racks before staying there in Bangalore. This is what living and working space at Jaaga Study looked when completed. 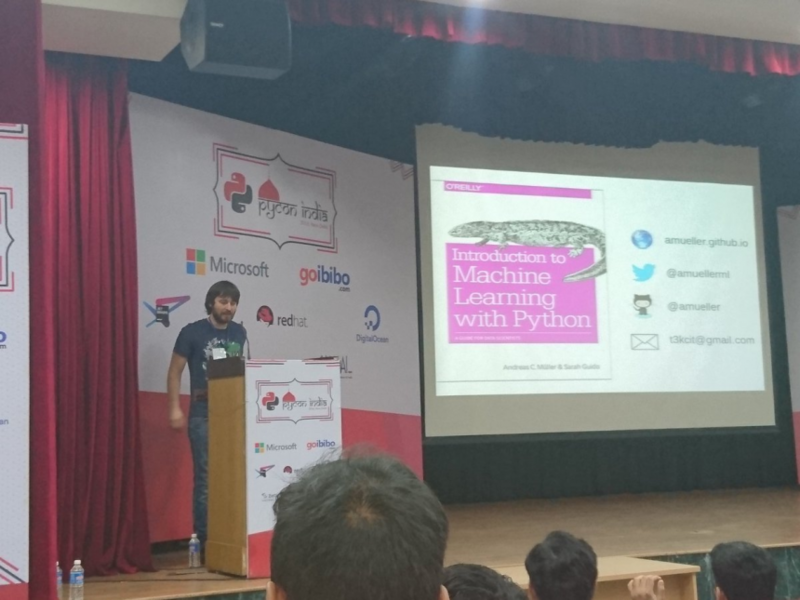 There is so much enthusiasm for machine learning in India that I really hope to be back soon.